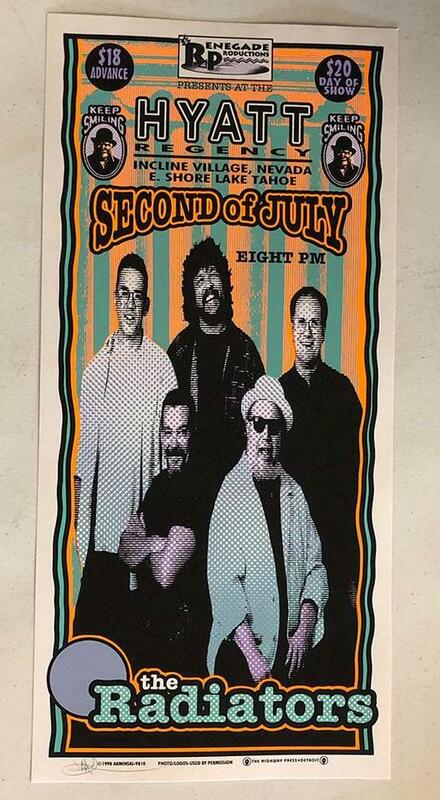 Original silkscreen concert poster for The Radiators at The Hyatt Regency in Lake Tahoe, NV in 1998. 10.25 x 22.5 inches on card stock. 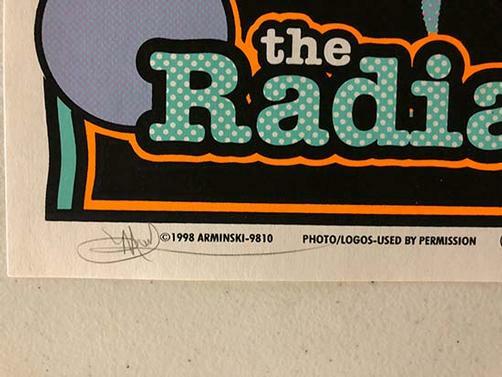 Signed by the artist Mark Arminski.